Yay this coupon is back for re-order! 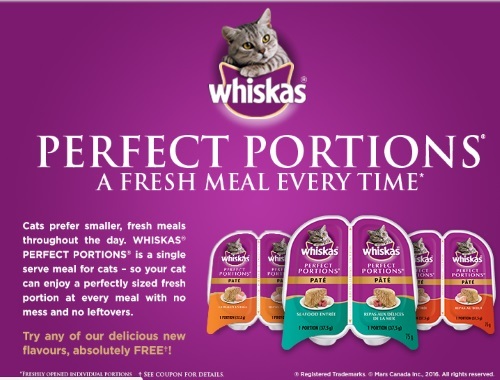 Get a Free Whiskas Perfections Portions Single 2x 37.5g any variety! That's right, you can order it again! This coupon is available via print or mail, while quantities last. Please note you can also order a second set of this coupon from the Walmart coupon portal here. And you can order a third set of this coupon here in the Life Made Delicious portal!